Patna: The state government’s urban development and housing department (UDHD) has asked Rail India Technical and Economic Services (RITES), to submit detailed project report (DPR). The RITES has been asked to submit DPR for Patna Metro by 20 September. RITES is the executing agency for Indian Railways and they have been asked to work on the report at the earliest. 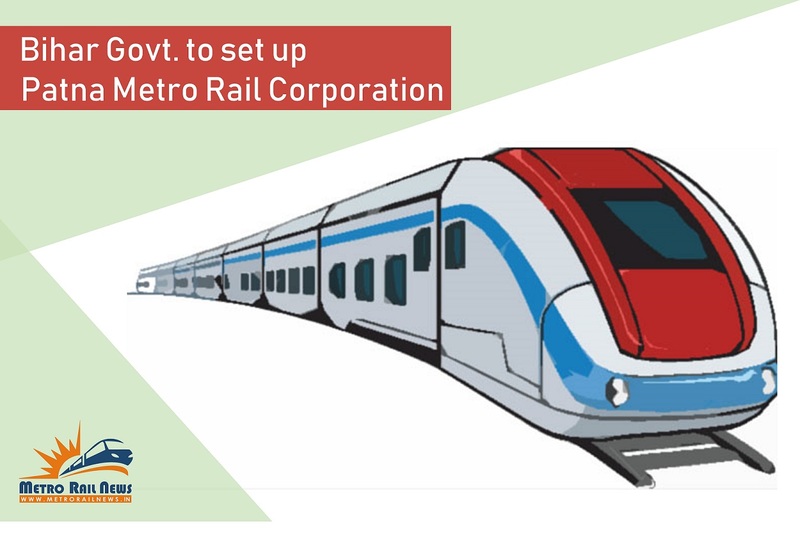 UDHD on the other hand has sent final proposal for creating Patna Metro Rail Corporation. This will be the special purpose vehicle (SPV) for implementing metro rail project in Patna. The authorities have also come to a decision that the Saguna Mor-Bailey Road- Patna Junction-Mithapur alignment be moved toward north of the central alignment of Bailey Road between Hanuman Mandir and Patna high court. This will steer clear of overlapping of the Patna metro rail tracks with the underpasses planned under Lohia Path chakra project, which predicts building of four underpasses on Bailey Road flanked by Lalit Bhawan and High Court. In a review meeting chaired by UDHD minister Suresh Kumar Sharma, the delayed metro project was discussed. The minister shared that the foundation stone for Patna Metro project to be laid in November. Senior officials from UDHD informed that once RITES submits the final DPR, the same will be sent to Public Finance Committee (PFC) that is chaired by development commissioner. Sanjay Dayal, special secretary in UDHD explaining the process stated that once PFC gives its nod, DPR will be tabled before state cabinet. This report will then be sent to centre for approval added Dayal. Chief Minister Nitish Kumar has given preliminary approval to the DPR in February. The DPR for Patna Metro had to be revised after centre came out with New Metro Policy. As per the plan there are two corridors planned in Phase one covering a distance of 31km. First corridor will cover the stretch starting from Saguna Mor- Bailey Road- Patna Junction-Mithapur bus stand route. This will be made from east to west covering a distance of 14.5km. North-south corridor with be the second corridor. It will start from Patna Junction to proposed bus stand at Bairiya on Patna-Gaya Road via Ashok Rajpath, Gandhi Maidan and Rajendra Nagar Terminal. This stretch will be covering a distance of 16.5km.